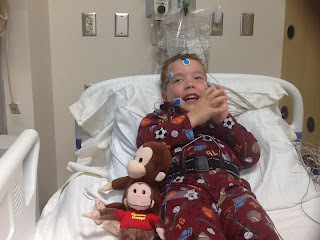 When Cameron had his tonsils and adenoids removed in June due to multiple ear infections, we weren't aware that he'd be asked to do a second sleep study in September. The doctor recommended a re-test of the study to ensure his sleep was sound and relatively uninterrupted. 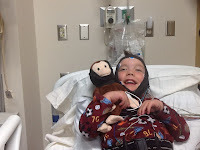 Cam wasn't nervous about going to hospital or even having the 20 + wires attached to his body. 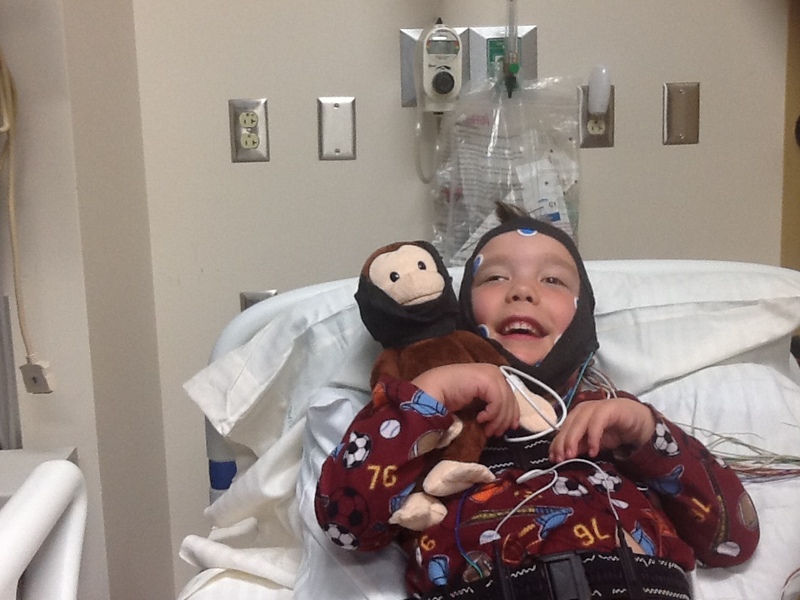 The sleep technician kindly bandaged up Curious George similar to Cam. Unfortunately, a nose cannula attached right before sleep is what challenges someone to actually sleep. 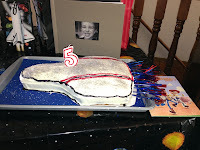 Our boy is a trooper and did try valiantly to rest, which he did a little bit. Before the study took place Saturday night, Cameron was able to spend some time with good buddy, Will, to celebrate Jane's godson's 5th birthday! Will gave Cam a space shuttle gift bag containing lots of goodies, including a glow stick which the boys both had to have on to compare. 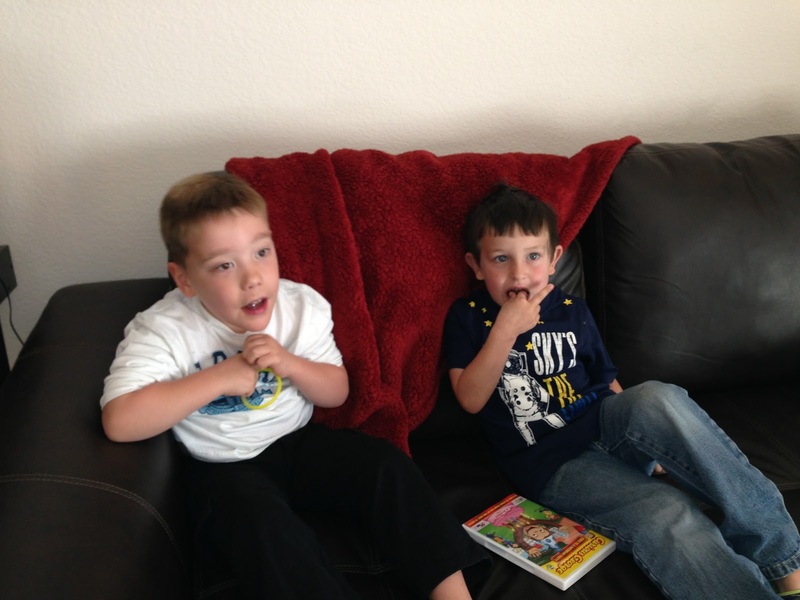 After sharing a tasty lunch, they relaxed for awhile viewing Curious George and gladly eating some m&m's. It was fun to hang out since Cameron was slated for his sleep study that evening instead of a birthday party celebration with Will. Now that Cam is in school full-time (bus pick up @ 8:10am, drop off at 4:20pm), he just has after-school care with Katie. Katie has known Cameron since he was little and has been a great family friend. She will head off to PT graduate school in the next year or two, so we are fortunate and grateful to have her with us! As an added bonus, Cam is pretty happy too! !